As an artist, emotional empathy with people is the essence of my work. In my portraits, I portray not only a physical likeness but the human spirit. Whether working in rich oil or vibrant pastel it is always a quest to capture the unique beauty I see in everyone and everything. 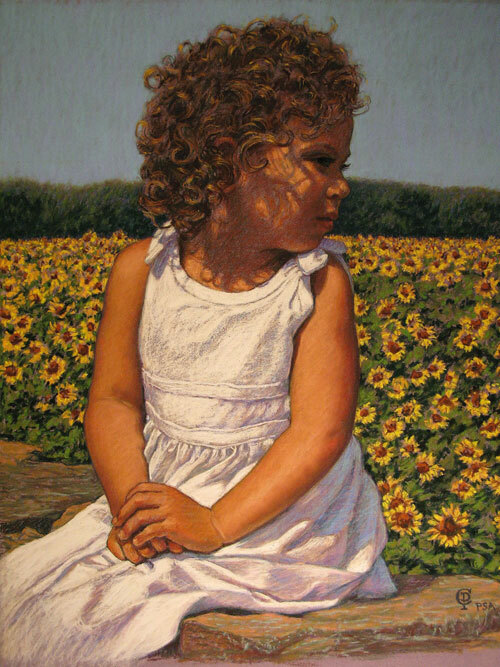 Claudia Post has been working as a professional fine artist for over 40 years. She studied at the New York Phoenix School of Design in NYC, The Art Center College of Art in Los Angeles, Ca. studied with master artist Daniel Greene in an atelier environment, studied with artists: Albert Handell, Richard Clive, Herman Marguiles, and Frank Covino. New York: Pastel Society of America as a Signature Member, American Artists Professional League, Salmagundi Club and the Catherine Lorillard Wolfe Art Society. Massachusetts: Rockport Art Association, Academic Artists Association, and North Shore Art Association. Claudia Post is married to Daryl Hinkson and lives in the quaint village of Chester, Ct. in close vicinity to the area of the Old Lyme Art Colony. Claudia has been exhibiting with the Lyme Art Association in Old Lyme, CT in various juried exhibitions as well as regional and national shows. Two large commissioned custom murals for law offices of Hitt, Sachner and Coleman, Cheshire, CT. Portrait of Dr. Claude Wathey, prominent politician and historical figure on the island of St. Maarten, NA. Hundreds of individual, family and animal portraits during the last 40 yrs. 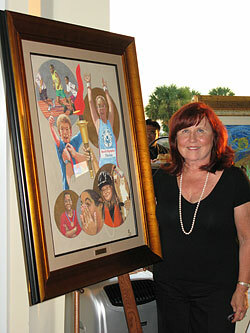 Claudia has been faculty member of the Armory Art Center, West Palm Beach, Florida. She has arranged and directed the first art workshop program for the Anguilla International Arts Festival, Anguilla BWI as well as participated/demonstrated in the festival as a celebrated artist. She has conducted workshops and private classes in art instruction throughout her lifetime, conducted a two week art workshop for Hole in the Wall Gang Camp in Ashford, CT, was an Artist in Residence in St. Maarten, Na for gifted children and teachers, was an Artist in Residence for the Connecticut Public Schools, Teacher of Portrait Painting at Quinnipiac College in Hamden, CT., received a grant from the Commission for the Arts in Hartford, CT for Director of Art Instruction Program and has been Juror of Selection and Awards for local, regional, national, and international competitions.